Here are the particulars: This book is called “G.I. Gurdjieff: A New Life” and the title is a pun. What we have here is a brand-new biography of Mr. G., a man who, by word and by deed, offered his disciples and his followers “a new life” or at least a new way of living. Neat title! The author is Paul Beekman Taylor who as a youngster “knew Gurdjieff.” Born in London in 1930, he recalls the early years that he and his mother spent at the Priory at Fontainebleau-Avon. Thereafter he became a scholar of Old Norse and Old English; he is now a Professor Emeritus of the University of Geneva. Books that he has researched and written include the very useful and detailed volume titled “Gurdjieff’s America” (2004). I think more highly of that scholarly book, which seems to have been reissued with new written material (but without the photographs in the original Lighthouse Editions publication) as “Gurdjieff’s Invention of America” (2007), than I do of the less focused volume issued the same year called “The Philosophy of G.I. Gurdjieff.” My reviews of these two books are archived on this blog. Eureka Edition, the publisher, gave this book a respectable and solid format, with a sturdy if somber, maroon-coloured card cover. The volume measures 6.5″ x 9″, the pagination is viii+247+iii, and there is or was a print-run of 250 copies dated August 2008. (ISBN / EAN: 978-90-72395-57-3) Included are a chronology, a bibliography, and an index, plus 18 black-and-white photographs, mainly unfamiliar ones – 19 if we count the full-page one which shows Mr. G. with his arms around Martin Benson and Rita Romilly, a photograph that is familiar and has been unaccountably reproduced twice in these pages. Eureka Editions is the name of a specialty publishing house located in Utrecht, The Netherlands, It has in print close to fifty new or reprint titles devoted to the Fourth Way. Their authors include Bob Hunter, Maurice Nicoll, Beryl Pogson, and Solange Claustres. Check the company’s website for further particulars. The knowledge of the life of Gurdjieff that most of us have is derived from P.D. Ouspensky’s “In Search of the Miraculous” (itself a marvellous work! ), augmented by the contributions of the “two Jameses” – James Webb in “The Harmonious Circle” and James Moore in “Gurdjieff: The Anatomy of a Myth.” Although the latter book appeared in 1991, it has yet to be superseded, even by the present publication which benefits from the inclusion of fresh information from the archives of the former Soviet Union unavailable to Moore two decades earlier. Taylor’s book offers the knowledgeable reader a harvest of new details. The reader who is unfamiliar with the literature of the Work will not find it appealing. But the more knowledgeable reader will find it quite engrossing, for it takes all the previous literature as its province and adds new information and evaluation. It is indispensable for students concerned with the evolution of the Work and the life of its founder. There is something else. In the words of the blurb on the book’s back cover, “This biography stands apart from other biographical writings about Gurdjieff by emphasizing his relations with the many children for whom he played a fatherly role in the Caucasus, Fontainebleau, and New York City.” As in previous books, Taylor identifies with Gurdjieff’s immediate family. Indeed, the book is dedicated to three women, two of them Gurdjieff’s daughters. One of these is the author’s half-sister Eve, nicknamed Petey, who was born in 1928. Rather than simply summarize the contents of the book – familiar ground all of it – this review will focus on what Taylor’s book has to offer the specialist reader – new ground or at least nearly interesting ground. In a sense I have had to hop, skip, and jump around, cherishing this morsel, ignoring that one. The text is dense with detail but written with great clarity of expression. Taylor is generous in the Acknowledgements section, expressing his “incalculable debt” to Michael Benham of Melbourne, Australia, and Gert-Jan Blom of Amsterdam, The Netherlands, who supplied biographical information that is only now appearing in print. In fact, he refers to the present work as “a triadic collaboration.” In his short Foreword, Gert-Jan Blom hazards a guess that this book may be “the most accurate biography available at this time.” He is quite right. Information suggests Gurdjieff was born about 1866. “Though extant documentary evidence has his birth year as 1877, I continue to suppose that the man I knew in 1948 and 1949 was in his eighties, rather than in his early seventies.” Thus Taylor agrees with Moore (1866) and not with Webb (1874). As for his day of birth, the man himself celebrated New Year’s Day, whether Jan. 1 (Orthodox style) or Jan 13 (Gregorian style).Some evidence favours a less symbolic date: December 28. 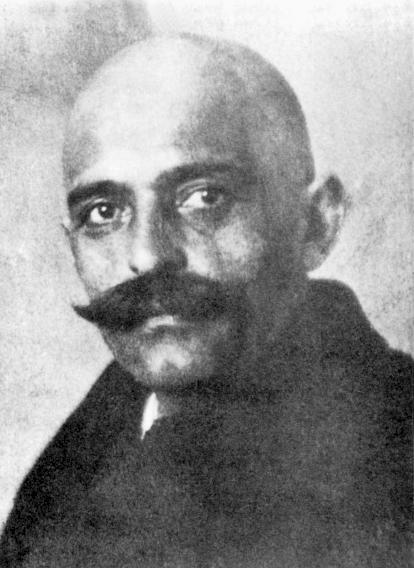 Gurdjieff had no children with his wife or partner Julia Osipovna Ostrovska, but Taylor argues that by other women he had four sons and two daughters and Taylor names them. He also devotes some sentences to the suggestion that the young Joseph Dzhugashvili (later known as Stalin) was “his one-time school mate” and well known to the Gurdjieff family in the late 1890s. “It is difficult to extract any certainty out of the apparent contradictory accounts. We can posit the probability that Gurdjieff and Stalin were aware of each other sometime or another before the turn of the century.” It is also possible that he was personally acquainted with the young Maxim Gorky. Taylor writes, “Gurdjieff paused for over two years in separate stays in a Muslim Dervish monastery somewhere in Central Asia.” There is no evidence that he ever passed as a Muslim. He claimed he visited Tibet, but evidence is lacking that he appeared as a Buddhist. Gurdjieff seems to have covered his tracks. It is a red herring to confuse him with Agwan Dordjieff or Ushe Nazunoff, secret agents who were conspirators in what is known as the Great Game. A.R. Orage is the source of the suggestion that, in 1901-02, Gurdjieff “served the thirteenth Dalai Lama as collector of monastic dues, a service that gave him access to every monastery in Tibet.” Suffice it to say that there is no evidence for this suggestion. Also conjectural is Gurdjieff’s visit to St. Petersburg in 1909 where he is said to have established a quasi-Masonic lodge! It is known that he established himself in Moscow where his mission to the West began. In a sense he “enters history” here. Gurdjieff’s Russian years, spent in Moscow and St. Petersburg, extended from 1912 to 1917, whereupon he left the country never to return. He seems to had gathered his first pupils by 1915, and among them were the sculptors Dmitri Sergeivich Mercourov and Vladimir Pohl. It was Pohl who introduced his friend P.D. Ouspensky to Gurdjieff. In turn, Ouspensky brought into the circle the psychiatrist Leonid Stjernvall and perhaps the mathematician A.A. Zaharoff. It was the mathematician who introduced the musician Thomas de Hartmann and his wife Olga to the work. An exotic touch is that Gurdjieff may have moved in imperial circles and may have met not only Tsar Nicholas II but also the notorious monk Rasputin who may have been cured of his drug dependency by the aforementioned Tibetan medicines. Well documented are the years 1917, 1918, and 1919, which take Gurdjieff from Moscow to Constantinople. There are references to “the memoirs of Elizaveta de Stjernvall” and there is a passing reference to “Jeanne de Salzmann’s unpublished memoirs” which presumably describe this restless period. There follows a mosaic of details of life in Sochi and Essentuki where they presented themselves as The Communal House of the International Philosophico-Worker Union of Essentuki, a name that name would appeal to the White Army. Another name used was “International Alliance of Ideological Workers,” which was designed to appeal to the Red Army. In Tbilisi in 1919, the rag-tag group was augmented by Alexander de Salzmann and his pregnant wife Jeanne, a student of the eurhythmics work of Emile Jaques-Dalcroze, as well as Valdemar Hinzenberg and his wife Olga Ivanovna Lazovich with their infant daughter Svetlana. They were joined by Elizaveta (Lili) Galumnian Chaverdian, a dancer, and they entertained Carl Bechhofer Roberts and Frank Pinder. Many flowers that came to blossom at Fontainebleau-Avon were planted in the rough terrain of the Caucasus. In the fall, “The Institute for the Harmonious Development of Man” was founded – or refounded, as it seems it was originally established in Russia in 1912. Established in Essentuki, the Movements were performed in public in Constantinople where performances were reviewed by dance critics familiar with Sufi movements in the press. To at least one commentator in February 1921 and to “other Sufi experts,” “Gurdjieff’s sacred dances were both projections of planetary movements and demonstrations of universal laws, whereas the Dervish dances played out a cosmic drama experiences [sic] by the human soul descending from the Absolute down to the material world.” The group was in Constantinople for just over a year. Ouspensky left for London, and Gurdjieff and his group for Germany. The interlude in Germany, where the Salzmanns and the Hartmanns had friends and spoke the language, lasted from August 1921 to July 1922. It was punctuated by Gurdjieff’s three visits to London where he addressed groups assembled by Ouspensky which included Kenneth Walker and Maurice Nicoll. England proved insular and unattainable but ideal for Ouspensky. Gurdjieff resolved to re-establish his Institute in France. Paris and soon Fontainebleau-Avon proved to be promising after difficult times in the Caucasus, Constantinople, and London. Paris was swarming with Russian emigrés as well as expatriate Americans fleeing isolationism and prohibition. The Salzmanns meet (accidentally on purpose perhaps) Jessmin Howarth, a Dalcroze instructor and ballet director at the Paris Opera, so the Movements begin again at the Dalcroze studio on Rue Vaugirard. They are joined by the editor A.R. Orage, who edits “The New Age,” and the psychiatrist James Carruthers Young. On October 1, 1922, Gurdjieff took possession of the Priory at Fontainebleau-Avon where he was joined by a great number of pupils and acquaintances from the Continent. Orage arrived, followed by Katherine Mansfield, known as Katia at the Priory. Taylor lists the names of some two dozen people who arrived from England, and the roll-call is a familiar one: Pinder, Nicoll and his wife, Young and his wife, the Metz brothers, Merston, Lady Rothermere, Jessmin Howarth, etc. “In all, there seems to have been some fifty to sixty persons residing at the Prieuré at one time or another in the year following its purchase.” It seems there were no French people in attendance. Memoirs of the exciting and exhausting life at the Priory are numerous, so Taylor is able to focus on events on a seasonal basis. He notes Gurdjieff’s ability to “step on corns” to shock people into self-observation and to act as a jack-of-all-trades. He is under surveillance as the French authorities learn that “he was a Mason who practiced hypnotism”! Then the Americans arrived, an illustrious roster of famous names: Djuna Barnes, Peggy Guggenheim, Sinclair Lewis, and perhaps Gertrude Stein. The “Georgian toast tradition” was introduced as “toasts to idiots” with twenty-one levels of idiocy. Interestingly Taylor notes, “Gurdjieff refused to discuss the toasts except at the table.” Much information is supplied about the demonstration of the Movements at the ten performances at the Theatre of the Champs Elyseés in late December 1923. Taylor has devoted an entire book to Gurdjieff’s nine visits to the United States, and while he has unearthed additional information for his new book, largely from newspaper coverage of demonstrations of the Movements, here the details will be glossed over in the interest of saving time. Taylor is able to synthesize the published accounts of the group’s movements and activities, even proving on that trip that there never was a demonstration in Philadelphia. Gurdjieff did say, “All must get to Philadelphia,” but Taylor suggests that in Gurdjieff’s mind the city in question is located “not in eastern Pennsylvania, but east of Ephesus in Asia Minor.” Gurdjieff regarded the United States in an odd way: “America is the backdoor to Asia.” His first visit for the entourage of two dozen people (all of whom are named) was a long one which extended from January 2 to June 15, 1924. The result of the first American journey was the installation of Orage as Gurdjieff’s point man in the United States. Upon returning to the Priory on 15 June 1924, he faced “Mrs. Serious Trouble.” The immediate problem was that of the outstanding debt on the Priory, principally the sum of $2,000 owed on the mortgage. Americans, including Stanley Nott and Jean Toomer, begin to arrive, but they did not bring a flow of capital. The suggestion is made that Gurdjieff was giving some thoughts to closing the Priory when “the accident” occurred. The Citroën he was driving ran into a tree at a cross road near Chailly-en-Bière, north of Barbizon, between Paris and Fontainebleau-Avon. The accident took place on Saturday afternoon, 5 July 1924. Or did it? There is evidence it occurred the next afternoon. Various and varied accounts of what happened and its consequences are duly credited and discredited. Except that there were no eye-witnesses to the event, there is an old Russian proverb that could be recalled: “Nobody lies like an eye-witness.” Apparently the sole witness – the victim himself – told Jane Heap and the author’s mother Edith Taylor, “I sick man, truth very weak, now institute die for everybody.” No longer did Gurdjieff plan to summer at the Priory and spend autumn or winter in the Untied States. Indeed, plans were put in motion in August to liquidate the priory. A new direction was signalled when, five or six weeks following the accident, Gurdjieff told Edith Taylor, “I wish write book. Surprised? No? Some time in life every man must write book, but such book already I begin, and if you very much wish we can even English read.” Taylor is quite good at discussing the evolution of the text of “Beelzebub’s Tales” which Gurdjieff dictated and also drafted in pencil. It is usually said that tranches were dictated to his secretary Lili Galumnian in Armenian, which she translated into Russian, and Hartmann with the assistance of Bernard Metz translated these into English. Gurdjieff also scribbled notes in Russian at the Café Henri IV in Fontainebleau and at the Café de la Paix in Paris. Taylor says there is no evidence that Gurdjieff ever composed anything in Armenian, but solely in Russian, which Olga de Hartmann, the author himself, and Orage translated into English. In late 1925, Orage was entrusted with the task editing of the bulky manuscript and with the ordeal of contacting possible publishers and raising the sums required for this. All of this is worthy of a George Steiner, the polyglot scholar who regularly lectures in four languages! The sums of money raised by Orage and Toomer in New York towards the publication of the manuscript and the work of the Institute, as well as the misunderstandings around them, must have caused Taylor to burn the midnight oil. He also offers detailed accounts of motor trips to Orleans and Vichy, then to Geneva, Contreville, Nevers, and Rouen. In the midst of all this coming and going, Orage was editing “Beelzebub,” the “first series,” and Gurdjieff was working on the “second series,” that is, “Meetings with Remarkable Men.” Rumoured to be in the works but sight unseen was the “third series.” Orage proposed that the three volumes be published at the same time. As a Canada-watcher, I was surprised to read that early in 1926, “Orage was off in Quebec with Jessie Dwight, Sherman Manchester and Daly King, ostensibly to scout the possibilities for a group in Montreal.” Years would pass before the city would acquire a group. The original initiative took place as Orage was about to marry Jessie, to Gurdjieff’s consternation. Gurdjieff called her a “squirming idiot,” and her husband his “super idiot.” As well, Gurdjieff came to the conclusion that “Beelzebub” would have to be revised and rewritten in order to reflect “the peculiar form of my mentation” which would be otherwise lost to the average reader. He felt the loss of his voice in Orage’s version. Taylor reminds us, “It is easy to lose sight of the person of Gurdjieff behind a banal chronology of the dates, events, and movements that fill a biography.” Yet nothing about this book is “banal,” though at the same time there is nothing about it that is “miraculous,” except the biographer’s need to mediate the truth of the various memoirs of participants and the reconstructions of various historians. Taylor is unique in that he is both a participant and an historian. In an interesting aside, he tries to account for his subject’s uniqueness as a human being. The reader wonders where this is heading. Here is the heart of the matter: “One aspect of Gurdjieff’s character that is not recorded sufficiently, however, was his paternal comportment. Gurdjieff was father to all those children who ‘knew him in the sky.’ There were always at least a dozen about him at the Prieuré, and he enjoyed their company, just as they felt comfortable in this. There was a ‘purity’ of communication between him and the children.” I have cut the paragraph short in the interest of economy, but it is apparent that the author identifies with these children. Americans did not flock to the Priory that summer but one woman who did was Mildred Gillars, who in later years became one of the broadcasters on Radio Berlin who was dubbed “Axis Sally” and subsequently convicted of treason. It is not known what effect her visit had on her, as she was a woman of many parts and no fixed resolve. Gurdjieff’s third American visit took place in February 1929, where he was greeted on the gangway by Louise Welch and Dorothy Wolfe. While in New York, Gurdjieff gave thought to restructuring the groups there in the absence of Orage. The visit did not entice many Americans to visit the Priory in the summer of 1930. The fourth visit extended from 11 Nov. 1930 to 13 March 1931. Taylor gives hotel locations and even the text of the classified advertisement that appeared in the “New York Times” on 12 Nov. 1930. “Lost. Portfolio Brown marked G. Gurdjieff containing typewritten manuscript left in taxi Tuesday midnight. Reward offered for return to 204 West 59th Street.” Taylor writes, “One can assume that the manuscript was a draft of the third series.” That may be true but one wonders if the placing of the classified ad had some other undisclosed purpose. Indeed, he quotes the literary critic Frank Kermode who wrote that “some gurus are wrong and others are dangerous: Gurdjieff is both wrong and dangerous.” Taylor finds no evidence for such a view among the dozen men and women who had first-hand knowledge of the events that ensued. He concludes, “Gurdjieff did not insist that his pupils should devote their lives to following him …. Gurdjieff made it a practice to send those people who have reached a certain stage in the work back into the world.” Yet his followers seemed to bounce back like India-rubber balls. The chapter titled “20 March 1931 – 4 June 1935: End of the Institute” has a cast of wholly new characters. There is Toomer’s colony at Portage, Wisconsin, Toomer’s bride Margery Latimer, Zona Gale, Katherine Klenert (sister of Georgia O’Keeffe), and others. It coincides with the semi-print production of one thousand copies of the 638-page mimeographed version of “Beelzebub’s Tales” sold to group members at $10 a copy. The fifth visit took place in 1931-32, and once in New York he was interviewed by Rom Landau in “God Is My Adventure.” Tall tales are told, some of them from Child’s restaurant on 57th Street, where Gurdjieff met with his followers and others. The priory in its dilapidated state was vacated and seized for debt (owing was the sum of $17,000) in May of 1933, and Gurdjieff shifted his headquarters to Paris where he was joined by many Russian expatriates and he met with his pupils. Eventually he moved into an apartment on the second floor of Rue des Colonels Renard not far from the Arch of Triumph. Taylor checked shipping records for a phantom “sixth visit” to the United States in 1932 but finds no evidence for such a transatlantic crossing. Orage refused to edit the text of “The Herald of Coming Good,” so the task was undertaken by Payson Loomis, who had willingly worked on “Beelzebub,” in the first half of 1933. As Taylor notes, this booklet was the only work of his to appear in print during his lifetime. It was issued at the time when Gurdjieff’s fortunes were the lowest: his American prospects were, like his British prospects, nil. Yet he sailed for New York for the sixth time, on 20 April 1934, and remained in the United States longer than ever before. There is much to-ing and fro-ing, with Gurdjieff travelling to Chicago and then to Taliesin East, invited by Olgivanna and Frank Lloyd Wright. He had hoped to establish a group at Taos, but Mabel Dodge Luhan was inhospitable. He toyed with the idea of replacing Toomer as a fundraiser with Olgivanna, which seemed a senseless notion. After one of their dinners, with architectural apprentices present, Wright and Gurdjieff sparred: “Well, Mr. Gurdjieff, this is very interesting. I think I’ll send some young people to you in Paris. Then they can come back to me and I’ll finish them off.” Gurdjieff replied furiously: “You finish! You are idiot …. No, you begin, I finish!” Not as a devoted spouse but gracious as a host, Olgivanna sided with Gurdjieff. In 1936, he moved into Apartment 6, Rue des Colonels Renard, a lovely flat maintained to this day in his memory. In 1938, through Jeanne de Salzmann, he met Vera and René Daumal the poet, Henriette and Henri Tracol, Philippe Lavastine who was married to Salzmann’s daughter Natalie, journalist René Zuber and writer Luc Dietrich, the advent of the belated interest of the French in the Work. The subtitle of this next section is “The Occupation of Paris.” Ouspensky and his family members moved to the United States. Gurdjieff, having just returned from that country, now gave some thoughts to returning there. Ouspensky’s pupils who remained in England joined groups led by Maurice Nicoll, Kenneth Walker, or J.G. Bennett, and not Jean Heap’s. In Paris, Gurdjieff’s pupils, either dead or dispersed by the vicissitudes of war and occupation, left him high and dry. The descriptions of the comings and goings on two continents of these disciples recalls the celebrated paragraph in “Brideshead Revisited” in which Evelyn Waugh details the movements of families following the surprising decision made by Lord Marchmain, after decades of life abroad, to return to his family seat. Following the liberation, American friends and students sought him out. Former students who had now established their own groups reappeared – Stavely, Heap, Nyland, etc. – as did Pentland, Bennett, the Wolfes, Anderson, Caruso, the Herters, etc. In charge was Madame de Salzmann. The biography proper ends with the chapter incongruously titled “16 December 1948 – 29 October 1949: Infinity and Finity Conjoined, Eighth and Final Visit to America.” English groups helped Gurdjieff with current expenses and American groups helped him to liquidate his debts. In New York, he revived the Movements with Alfred Etievant, and Jessmin Howarth did the same at Franklin Farms. A short chapter titled “Postscript: Gurdjieff and Meta-history” follows, in which Taylor notes, “Shortly before he died, as I was about to return to New York, he told me that I owed him stories, and I have been spinning stories about him for the past several years, but have not yet acquitted my debt.” He discusses the nature of “objective facts shaped into subjective designs.” He has certainly dispatched that obligation. “In my writings I have struggled to expose what I feel is not quite the truth in the process of elaborating what is, for the moment, what appears to be the truth.” This section is sobering in that limitations of previous memorists and biographers, including the “two Jameses,” are discussed. It seems apparent to me at least that those men and women – those adepts – who knew the man personally were in no position whatever to separate the man from the message, so to speak: the movement, the system, the “special doctrine,” the Fourth Way, or the Work as it is now known. Much was gained, but at the same time much was contained. Following such sober assessments as these there is the arresting chapter called “Excursus: Gurdjieff and Women.” It is three pages in length. Taylor neatly summarizes its argument in one sentence: “That man is superior to women is apodictic in his writings.” Feminists will find the instances of male chauvinism that appear here to be alarming. Taylor himself finds them disarming. He is to be congratulated for presenting them in print. In the immediate aftermath of this line-by-line reading of Taylor’s biography, perhaps some stray thoughts of the reviewer are in order. This undertaking was neither an ordeal nor a romp, but an instructive experience. The author has created a giant, Byzantine-like mosaic that consists of colourful bits and pieces of stone selected for size and shape. The overall pattern makes greater sense viewed close up than it does viewed from a distance. After I turned the final page – number 247 – of my copy of this book – which is itself mechanically numbered 185 – a short passage from a long poem came into my head, form where I am not sure. It expresses the sense I have of what hovers over the panorama of the amazing characters and personalities who have been described and analysed in these pages with all their actions and reactions projected over a period of a century.